Fedora project is celebrating 10th year anniversory. Fedora 20 is officially released on 17th December 2013. Fedora 20 is one of the most stable Operating system with Latest Opensource Technologies. 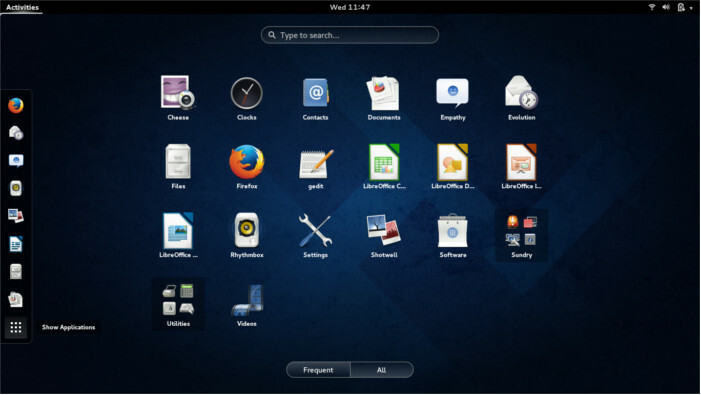 It releases with 5 Different Desktop Environments Gnome 3.10, KDE 4.11 Plasma, Xfce, LXDE and MATE . Fedora 20 comes with best Gnome Installations ever. It just works out of the box and Gnome is the default desktop of Fedora. For other DEs there are corresponding Spins are available for download here: https://fedoraproject.org/wiki/Releases/20/Spins. F20 comes with typical Gnome applications and tools such as ‘Software’ which is developed by Gnome teams. Software is a tool similar to App Store of Ubuntu Software Center which makes it easy to browse and install applications. Software makes use of AppData Specifications. GNOME 3.10 revamps the system status menu, adds Zimbra support to Evolution, and adds the new gnome-music and gnome-maps applications. KDE Plasma Workspaces 4.11 adds faster Nepomuk indexing, improvements to Kontact, and Metalink and HTTP support to KGet, and a metric squillion other changes. Fedora is definitely the best distro to see the latest in GNOME and KDE. From Fedora 20 ARM is considered as a Primary Architecture. You can download a Fedora Remix for ARM. Fedora 20 comes with all packages needed to run Apache Hadoop 2.2.0. JBoss Application Server is now WildFly 8. With WildFly 8, it’s possible to run your Java EE 7 applications with unparalleled speed. Fedora 20 comes with Ruby on Rails 4.0. Rails 4.0 also brings improved functionality, speed, security, and better modularization. Network Manager is getting several improvements in Fedora 20 that will be welcome additions for power users and system administrators. Users will now be able to add, edit, delete, activate, and de-activate network connections via the command line tool. NetworkManager is also getting support for bonding interfaces and bridging interfaces. Fedora 20 removes sendmail as a common Fedora installs have no need of a Mail Transfer Agent (MTA).